Not everyone understands the connection between domains and hosting and what the terms really refer to. It’s easier to understand domains and hosting by using offline analogies. The exact same principles apply in the virtual world as in the real world. Most of my new clients already have websites by the time they hire me and are at a loss when I ask about their domain and hosting set-up, Many don’t know what a host is much less know who their host is. Perish the thought about mentioning any words about servers, nameservers , virtual private servers, FTP, because eyes glaze over. Some clients are well aware and fully understand but most are not, often leaving it up to their IT or web guy which as it’s more their thing. I can fully appreciate that, but it’s really not that technical a concept that can’t be immediately grasped once explained properly. . Many don’t know what a host is much less know who their host is. So let me shed some light into this once and for all and explain it beyond a shadow of a doubt. After this you’ll be able to go to your IT or web guy and and ask intelligently about your own set-up without fear of feeling confused. DREAMHOST is my number one choice of hosts not only because they host the Forward Multimedia website, but because I’ve had the best experiences from their support team. They’re not the cheapest nor the most expensive but somewhere in the middle. There support is timely and they usually respond to technical issues very well and actually seem to make the effort. GO DADDY is the registrar of the Forward Multimedia domain and has perhaps the cheapest hosting plans and more payment terms, including monthly. Other hosts may price monthly (like Dreamhost) but charge yearly. Go Daddy has good support but not great support. The more technical an problem is, the more Go Daddy will brush it off as a website issue or third party software. I’ve dealt with many other major hosts like Register.Com, Network Solutions, Yahoo, iPage, Hostgator, Hostmonster which are all generally good but Bluehost would be my pick out of all of them. 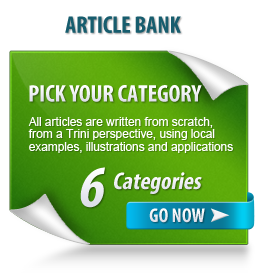 What about local Trinidad based hosting companies? I’m sure there may be good local hosts but there are none that stand out in the local market. I have clients who use local hosts and I’m always getting complaints that their hosts have to keep telling them that they’ve exceeded their bandwidth or email storage etc. What I know about US based hosts is that to buy it and forget it, so compare that with a T&T host. For E-Commerce clients using the Magento platform, they recommend a VPS hosting set-up because of the platform’s requirements of server resources. I usually put my client’s on Dreamhost unless they have their own preferred host. How much traffic can a regular hosting plan handle? 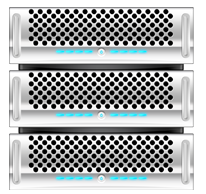 A regular hosting plan is called ‘shared hosting’ because you share the space on the server with other websites. Think of the server like a file cabinet, and the files for each website it in its own folder. Visitors to the website access the folder to view the info. In the real world there is a limit on how many people can stand in from of the cabinet and pull folders out to look at their contents, so too on the web. In the whole scheme of things, our tiny Trini traffic does not register a blip on the scale of traffic for that to be of concern. Very few businesses will have to worry about that.